Isekeshev is seen as a competent and progressive civil servant. Kazakhstan’s president has affected a reshuffle at one of the highest levels of government, upgrading the mayor of the capital city to become his right-hand man. The president’s official website noted in a September 11 statement that Aset Isekeshev, 47, will assume office as chief of staff of the presidential administration, taking over from 64-year-old Adilbek Dzhaksybekov, who is retiring. Isekeshev has run Astana for more than two years, prior to which he oversaw government policy on investments, new technology and trade. He has also previously served as an advisor to President Nursultan Nazarbayev. 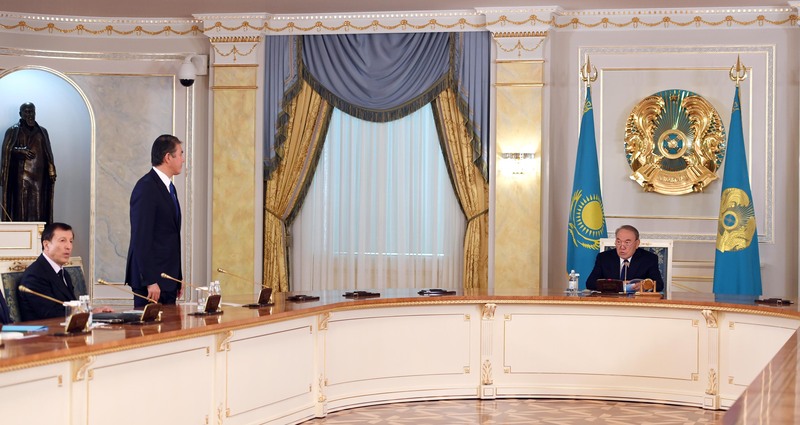 In singing his new chief of staff’s praises, Nazarbayev hailed Isekeshev for his achievements in ushering through the organization of EXPO-2017 and the celebrations to mark the 20th anniversary of Astana’s designation as capital. Isekeshev is widely viewed in the capital as a progressive and dynamic manager, although he has come under criticism for his perceived mismanagement of the flash floods that periodically hit Astana in the rainy season. This winter, he was lambasted for the city’s struggle to keep the streets clean and the enduring problem with traffic jams. Nonetheless, there appeared to be some unhappiness online at Isekeshev’s departure. “I am willing to forgive Aset Orentayevich for the unsolved issues with the drainage of rainwater, if only because of his charisma,” blogger Botagoz Toktar wrote on Facebook. Watchers of Kazakhstan’s largely moribund political scene will likely seize on this as the key development for the year. That description is a reference to the much-discussed preparations for Nazarbayev finally leaving the scene, after his almost three decades in power, and what will come after that. Speculation never dims as to who might succeed Nazarbayev, and it is not clear this latest appointment sheds much light on the matter. But Sultangaliyev said that what is happening is a reconfiguration of political heavyweights and an adjustment to the checks and balances in the system. “Amid the deep lack of trust from the population toward to the authorities, the president has picked an imposing and appealing figure like Aset Isekeshev. This can be regarded as an attempt by the authorities to open a channel of dialogue with society,” he said.